Students coming from households who earn less than $60,000 a year will have a parent contribution of $0, the college said Friday. 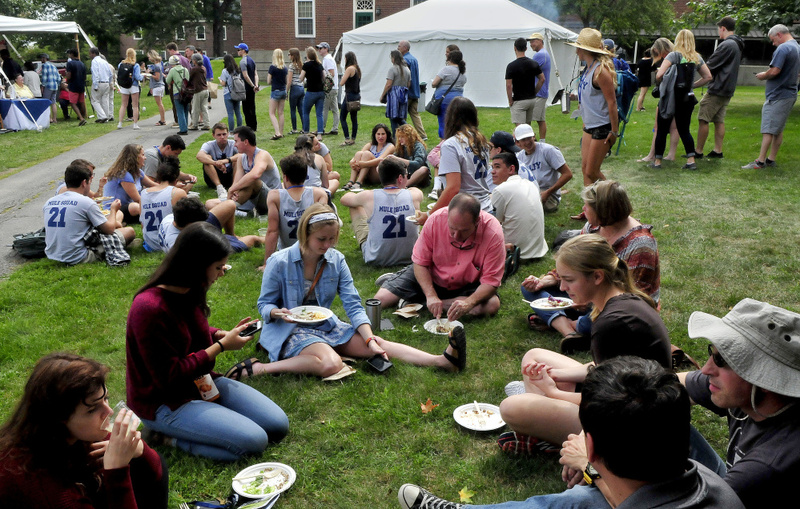 As part of the school’s financial aid commitment, students admitted to Colby College in Waterville who come from families earning less than $60,000 a year and assets typical of that income range will now have a parent or guardian contribution of $0. The initiative, announced Friday in a news release by the college, is an expansion of the “Colby Commitment,” which is what the school calls their global effort to ensure the most talented students from all backgrounds have access to a Colby education. The college expects the initiative to have an out-sized impact in Maine, where the median household income was $53,000 last year. When students apply for financial aid, the aid package they are awarded is based in part on the estimated amount their parents or guardians can pay toward schooling. This estimated parental contribution is calculated based on household income and other factors. So for admitted Colby students whose household income is $60,000 or less, financial aid will be calculated taking into account that there will be no parental contribution. That factor would likely amount in a larger aid package for the student. According to the college’s website, the cost of tuition, room, and board has been set at $66,780 for the 2017-18 academic year.